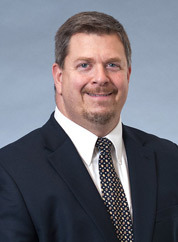 Rich Carroll, a partner, is a graduate of Middlebury College and Vermont Law School. He was admitted to practice in Vermont in 1989. He is also admitted to practice before the United States District Court for the District of Vermont. He is a member of the Windham County Bar Association and is a member of the Defense Research Institute and the Tri-State Defense Lawyers Association. Rich is a past president and current member of the Brattleboro Rotary Club. He serves on the Board of Directors of the River Valley Credit Union and previously served on the Boards of Directors of the Southern Vermont Health Services Corporation and the Brattleboro Memorial Hospital. Rich focuses his practice on business and commercial transactions, civil litigation, probate administration and real estate. You can contact Rich Carroll via email: Email Rich Carroll.